Kick off your visit on the 15th (Wed): contemplate the waterfront views at Kabira Bay, explore the gorgeous colors at Kabira Ishizaki Manta Scramble, and then enjoy the sand and surf at Yonehara Beach. To find where to stay, other places to visit, photos, and more tourist information, use the Ishigaki journey planning website . Sydney, Australia to Ishigaki is an approximately 17.5-hour flight. Traveling from Sydney to Ishigaki, you'll gain 1 hour due to the time zone difference. Traveling from Sydney in May, expect nights in Ishigaki to be warmer, around 28°C, while days are a bit warmer, around 34°C. Finish up your sightseeing early on the 15th (Wed) so you can travel to Hatsukaichi. Start off your visit on the 16th (Thu): take in the spiritual surroundings of Itsukushima Shrine, then don't miss a visit to Miyajima, and then kick back and relax at Mikasahama Beach. To find traveler tips, photos, ratings, and tourist information, read Hatsukaichi tour planning website . Getting from Ishigaki to Hatsukaichi by combination of flight and train takes about 6 hours. Other options: fly. Prepare for little chillier weather when traveling from Ishigaki in May: high temperatures in Hatsukaichi hover around 28°C and lows are around 18°C. Cap off your sightseeing on the 16th (Thu) early enough to catch the train to Himeji. Kick off your visit on the 17th (Fri): explore the historical opulence of Himeji Castle and then hike along Mt Shosha hiking. For maps, photos, reviews, and more tourist information, read Himeji trip itinerary maker app . Take a train from Hatsukaichi to Himeji in 2 hours. Alternatively, you can drive. In May, daily temperatures in Himeji can reach 25°C, while at night they dip to 20°C. Finish your sightseeing early on the 17th (Fri) to allow enough time to take a train to Kyoto. Your cultural itinerary includes sights like Nara Park and Kinkaku-ji. 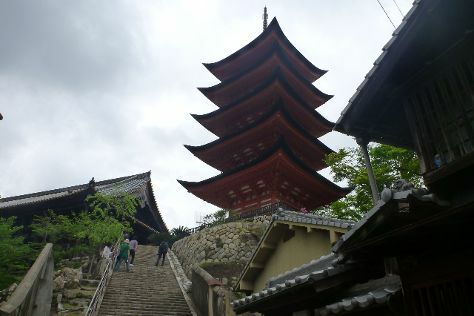 Take a break from Kyoto with a short trip to Todai-ji Temple in Nara, about 1 hour away. There's lots more to do: steep yourself in history at Fushimi Inari-taisha Shrine, explore the historical opulence of Nijo Castle, make a trip to Gion, and contemplate in the serene atmosphere at Kennin-ji Temple. To find other places to visit, maps, more things to do, and other tourist information, use the Kyoto online trip builder . Getting from Himeji to Kyoto by train takes about an hour. Other options: drive; or take a bus. Expect a bit warmer weather when traveling from Himeji in May: highs in Kyoto hover around 29°C, while lows dip to 17°C. Wrap up your sightseeing on the 20th (Mon) to allow time to drive to Fujikawaguchiko-machi. 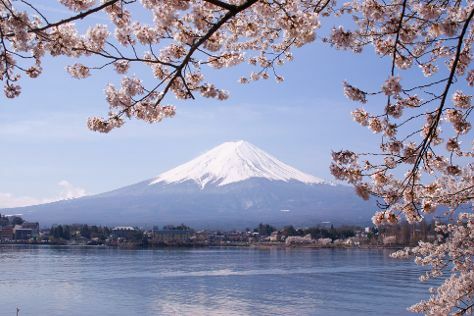 Kick off your visit on the 21st (Tue): take a peaceful walk through Aokigahara Forest, then identify plant and animal life at Sankodai, and then take in the pleasant sights at Lake Kawaguchi. For where to stay, photos, reviews, and tourist information, read Fujikawaguchiko-machi day trip planning tool . Traveling by car from Kyoto to Fujikawaguchiko-machi takes 4.5 hours. Alternatively, you can do a combination of train and bus; or do a combination of flight and bus. Traveling from Kyoto in May, you will find days in Fujikawaguchiko-machi are a bit cooler (21°C), and nights are about the same (19°C). Finish your sightseeing early on the 21st (Tue) to allow enough time to drive to Yamanouchi-machi. On the 22nd (Wed), explore the activities along Kido Pond, take a memorable drive along Shiga Kusatsu Kogen Route, and then look for all kinds of wild species at Jigokudani Snow Monkey Park. To see ratings, photos, and other tourist information, refer to the Yamanouchi-machi online trip itinerary planner . Traveling by car from Fujikawaguchiko-machi to Yamanouchi-machi takes 3.5 hours. Alternatively, you can do a combination of bus and train; or do a combination of train and taxi. Traveling from Fujikawaguchiko-machi in May, you will find days in Yamanouchi-machi are somewhat warmer (26°C), and nights are about the same (18°C). Finish your sightseeing early on the 22nd (Wed) to allow enough time to travel to Tokyo. Get some cultural insight at Sensō-ji and Edo-Tokyo Museum. There's lots more to do: don't miss a visit to Meiji Jingu Shrine, admire the natural beauty at Shinjuku Gyoen National Garden, enjoy breathtaking views from Tokyo Metropolitan Government Buildings, and admire the striking features of Tokyo Tower. To see other places to visit, more things to do, and more tourist information, use the Tokyo travel itinerary planner. Traveling by combination of taxi and train from Yamanouchi-machi to Tokyo takes 2.5 hours. Alternatively, you can drive; or take a bus. May in Tokyo sees daily highs of 28°C and lows of 19°C at night. On the 26th (Sun), you're off tohome.